Join Captain Patrick Gould on YOUR fishing adventure today! ​I specialize in back-country light tackle sport fishing, offering full and half-day fishing charters for anglers of ALL skill levels. 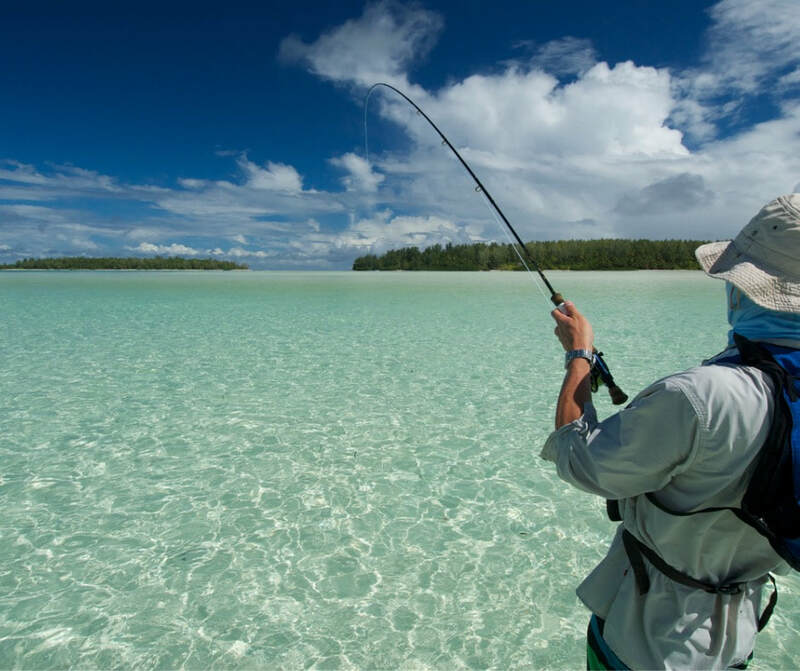 Whether you spin cast or fly fish, the Naples area offers fishing opportunities all year round. 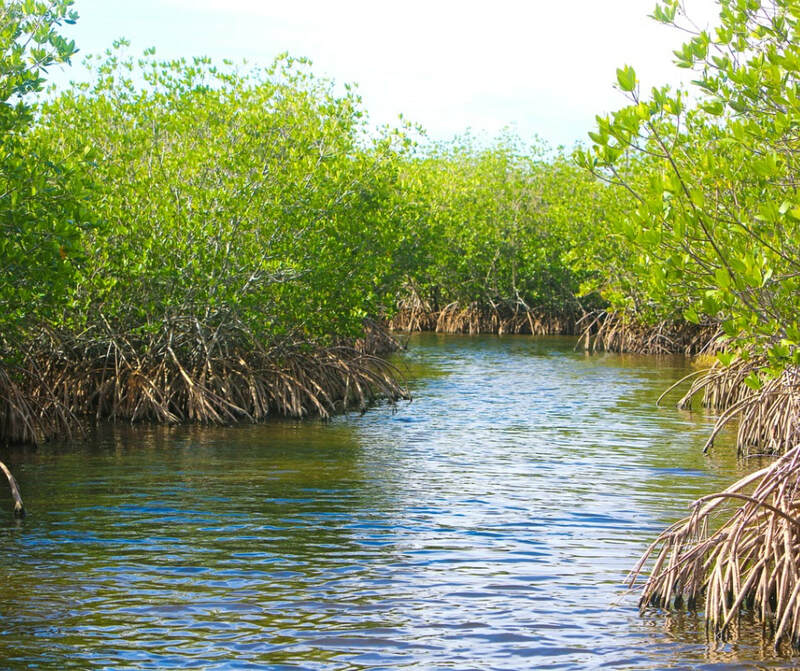 The areas I fish includes Naples, Marco Island, and the 10,000 Islands for Tarpon, Snook, and Redfish, along with many other species. Anglers of all skill levels, young or seasoned, are welcome. 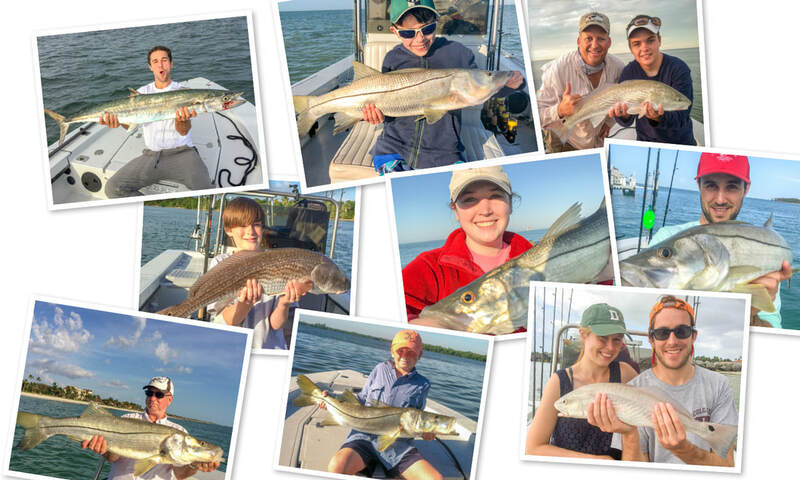 I pride myself in tailoring your fishing trip with me to suit your vision… Whether you’d like to chase a trophy, or just have a relaxing day catching fish. 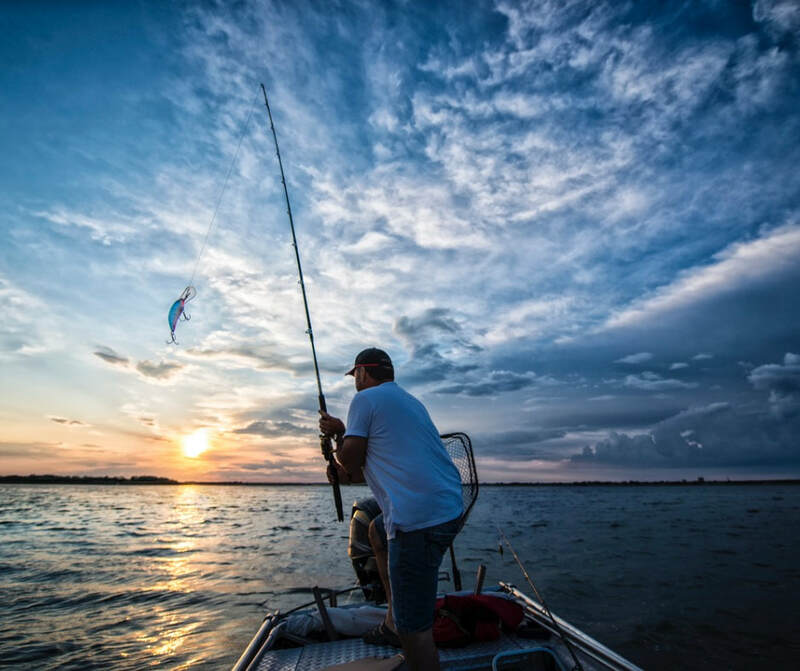 What type of fishing charter are YOU interested in? My flats boat is a very stable and comfortable platform designed to run shallow and get to areas most boats can’t reach. Let me share a lifetime of flyfishing knowledge with you and provide an unforgettable experience with a fly fishing charter in our area. World class sight-fishing along our beaches for snook, reds, and tarpon; and up to 9 miles offshore for triple tail, bonita and kingfish. This fishery delights light tackle and fly fishing enthusiasts alike. Don’t forget about our nearshore wrecks and reefs where you will fight snapper grouper sharks, etc.. I remember going fishing with my dad, and the first fish I ever caught. I'm really not sure who enjoys it more, us, being able to watch kids in the commotion and unbridled joy of catching a fish. Or them, in smiling exhilaration, proud of their capabilities, and accomplishment. Either way, what a wonderful way to spend time with them. Naples is very unique in that quite often the waters we fish on our charter are incredibly shallow, sometimes even a foot or less. It is an amazing sight to see a fish that measures 3 feet long (or even bigger), slowly cruising a shallow shoreline in search of a meal. This adds a unique dimension to being a fisherman here, in that at times we’re actually “hunting” fish that you’re able to see before you cast to them. Our term for it is “sight fishing”, and it’s like nothing you’ve ever experienced. Imagine watching a Snook swimming down a shoreline in mere inches of water… You cast out in front of him, and… Game on! Please don’t hesitate to call me so that we’re able to talk more about what type of fishing your interested in, and I’ll help you plan a day to remember. I look forward to fishing with you soon! 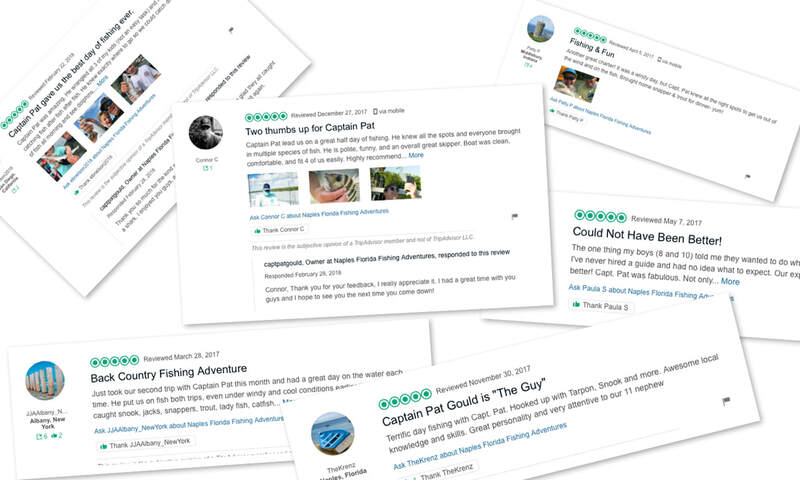 See more of my reviews on Trip Advisor!